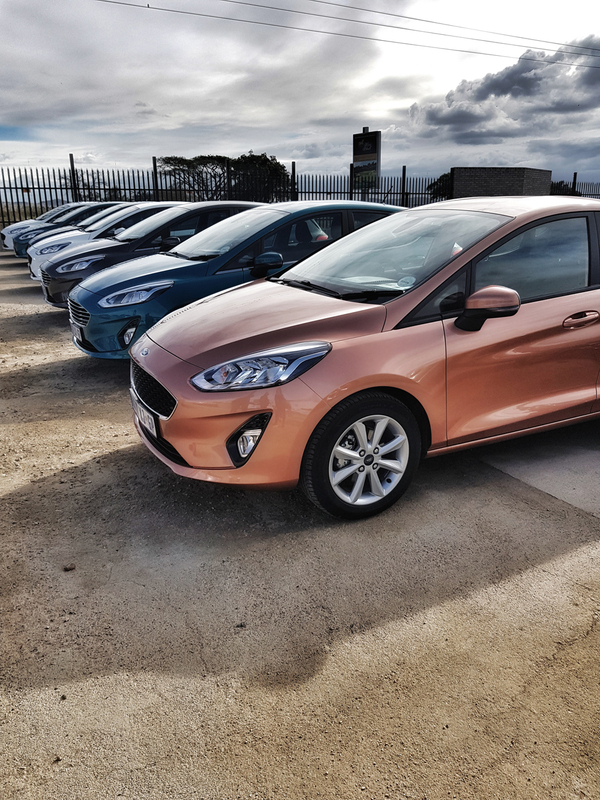 We met at Lanseria, the all new 2018 Ford Fiesta’s ready for the drive. My drive buddy for the day, Naomi and I got our hands on the ultimate colour… Copper Chrome, one of the two all-new metallic shades in the new Fiesta lineup. 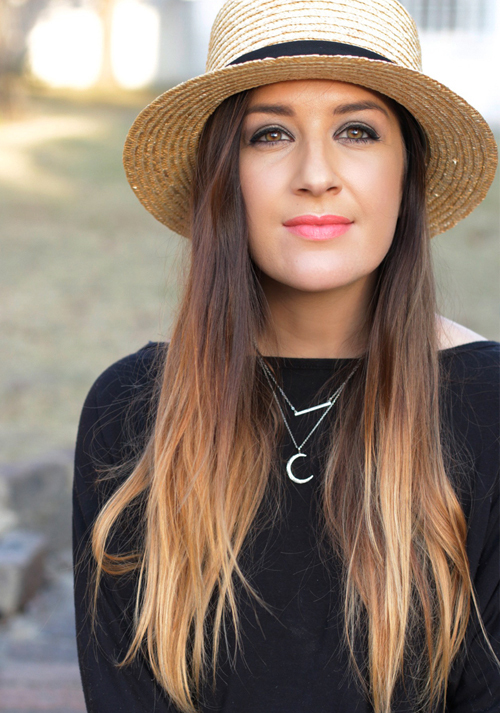 This shade is so beautiful and so unique, there’s nothing quite like it! Picture a subtle hint of rose gold, and a colour that catches the light beautifully, ensuring heads will turn as you drive on by. The other new shade, Blue Wave we drove on the way back from Sun City and while it’s a blue-tiful blue, the Chopper Chrome (or rather, my little Rose Gold Gem) would definitely be my numero uno choice in the new Ford Fiesta. 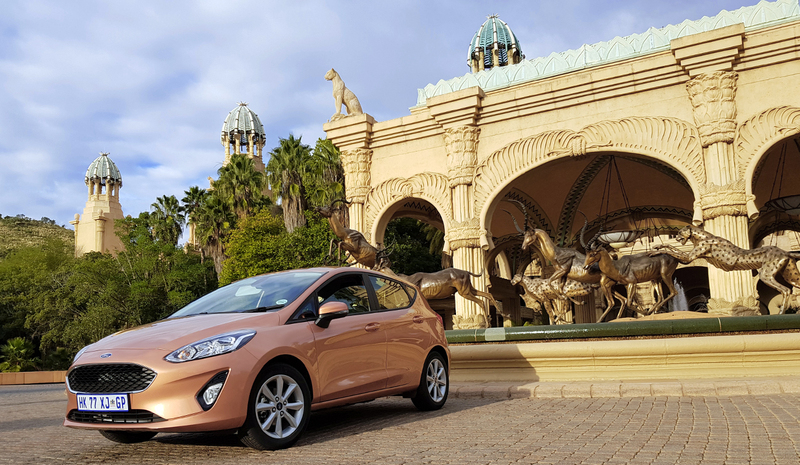 The 1 and a half hour road trip from Lanseria to Sun City was flawless in the new Ford Fiesta. A smooth, effortless ride that was all about the fun. It’s no wonder that Ford has sold 4 and half million Fiesta’s since the model launched in 1976, and 145 000 models have sold locally since the Fiesta made it’s debut in South Africa in 1997. With so much offering in the new Ford Fiesta lineup, I’m pretty sure it’s going to be the up and coming yuppie, mover and shaker or just plain cool kid’s next car of choice! One of my favourite features is the interior touch screen, and ya know, today’s smart-phone Gen is going to go cray for that! Instead of a boring radio face and bland controls, the Ford Fiesta features an 8″, colour touch screen infotainment system on the Titanium Model and a 6.5″ on the Trend Model. This gives the driver control over their audio (by the way, the Titanium has a high-end seven speaker sound system as a standard), navigation, voice commands and of course, all of Ford’s amazing SYNC®3 features. Designed and Developed in Germany, the new Ford Fiesta is not only pretty to look at (inside and out), but it’s safe, saves fuel, has more grip on the road (thanks to the bigger wheels), increased luggage capacity and new ABS and ESP, plus emergency brake assistance, among other features. We got to meet the man behind the new Fiesta, Sigurd Limbach (Chief Engineer, Ford Fiesta Platform), whose passion for this car was unmistakable. 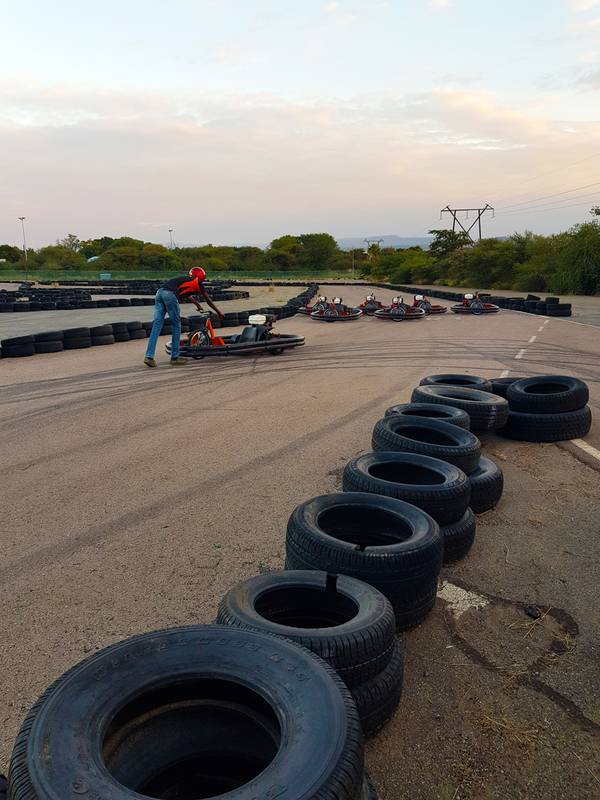 He really, really loves the new Fiesta and was just as excited taking us through the new features as he was excited to get behind the wheel of the Drift Trikes at Sun City’s adventure course. 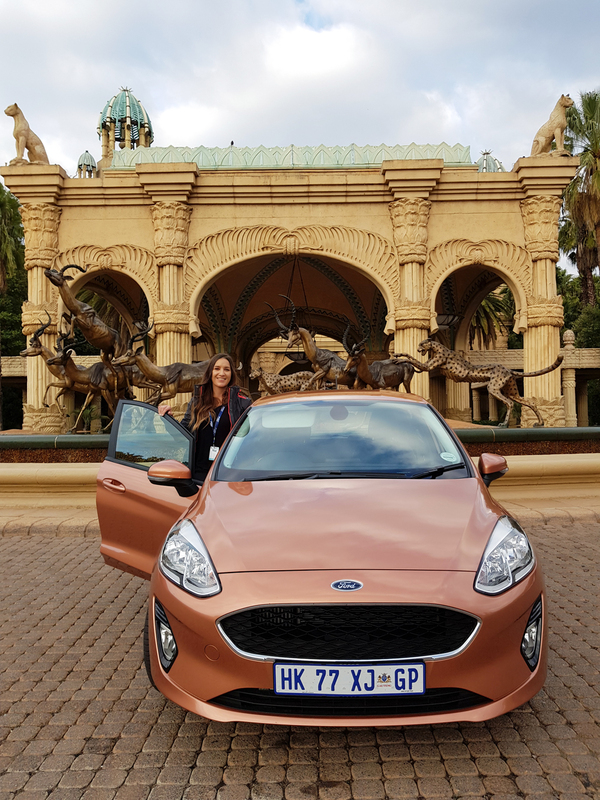 Ford spoilt us rotten by putting us up in one of the Country’s most incredible, luxurious and styling hotels – The Palace of the Lost City at Sun City! Every bit the treasure you’d expect it to be! This hotel has been on my bucket list since I was 15 years old, sneaking into the lobby, trying to take a peek at what The Rich and Famous get to experience! And I’m glad, that I can now at 37 years old (yikes) say that I’ve stayed at The Palace. And it’s all thanks to the fab folk at Ford! The Palace is absolutely beautiful and Sun City is a treat but I think I’ll save some of my pics for an upcoming post… I do however, want to let you in on one of the hidden treasures, where we went for dinner. I’ve been to Sun City and The Valley of the Waves a dozen times before and never knew about The Brew Monkey, a craft beer-pub-just real good food restaurant in the Valley of the Waves. The menu is glorious, serving anything from smash burgers to home made pies, but their buffet is exceptionally delicious! 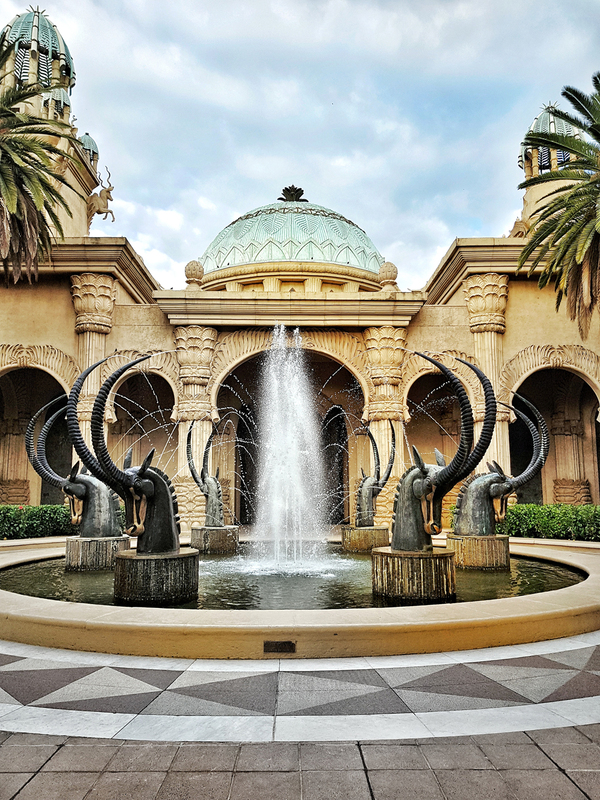 If you’re heading to Sun City any time soon, be sure to check it out. It’s above the Food Factory at the Valley of the Waves and has the most wonderful view of the tidal pool on the deck. They also do really good G&T’s! 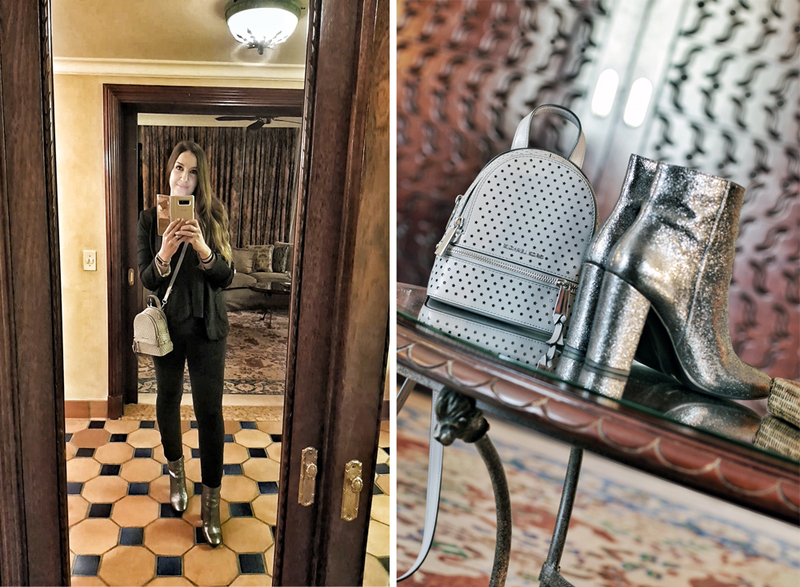 For dinner, I wore my new Metallic booties, but can we just take a moment to appreciate the bathroom fit for a queen at The Palace Hotel? If you’re in the market for a new car that will impress, be sure to check out the new Ford Fiesta. When comparing apples-with-apples, remember that all new Ford Fiesta models come standard with Ford Protect. This is a four-year/120 000km comprehensive warranty, three-year/unlimited distance roadside assistance and five-year/unlimited km corrosion warranty. Plus, you get a four-year/60 000km service plan included, with 15 000km service intervals. And the price of the new Ford Fiesta models you ask?